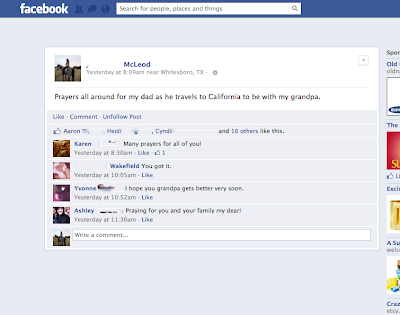 Social media has been a useful tool in many different ways. It’s a great marketing tool for businesses, a great test market for new brands and products, a way for family members and friends to stay connected or even re-connect, and it has even been a way for religious people to expand their prayer circle. Before social media, prayer requests were mostly seen in bible study groups and church services. If things got serious or there were urgent requests for prayers, there was always the praying phone tree. One person was in charge to call another person and that person, another person and so on. People are inviting their Facebook friends to pray for them, using hash tags to get friends and fellow devotees on Twitter to join them in praying, and even places like Pinterest are used for uplifting prayers. 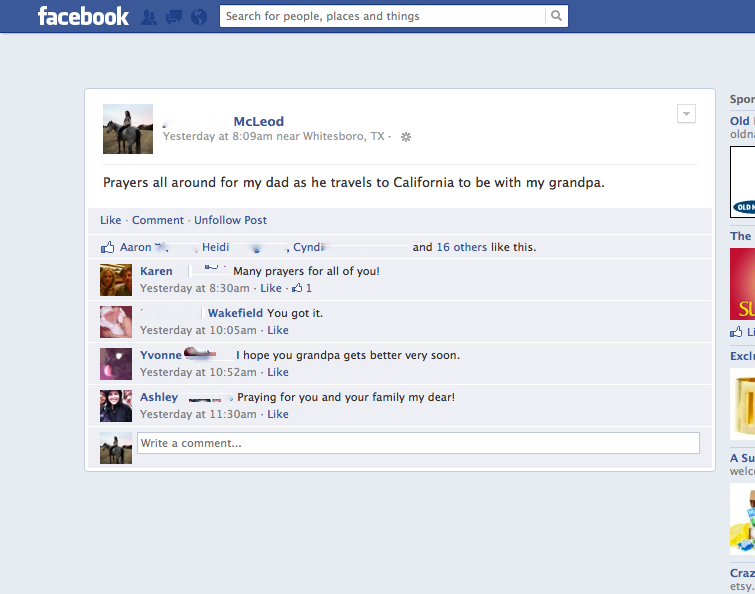 Facebook users are reaching out to friends and loved ones for support and prayers. For example, you may not have known that the girl you haven’t seen since high school is a devout member of your faith who is more than willing to “like” your Facebook prayer request. 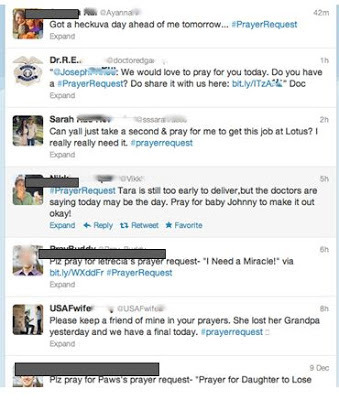 Twitter also has an array of people praying for their friends or even asking total strangers for prayer requests. Simply searching the hash tag #Prayerrequest, will pull up all sorts of people searching for others to help them pray for a solution to some problem they are having. Screenshot of Twitter taken by author. Social media is making the praying community stronger because it is connecting more religious people than ever before. What do you think of this use of social media? Jenna McLeod graduated from Tarleton State University in December of 2012 with a Bachelor's Degree in Communications. She is the social media coordinator for Chief Ingredient. You can read her musings on the entertainment world at JustJMac or follow her on Twitter as @mcleodjenna.